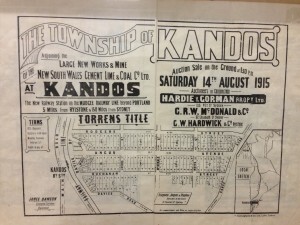 About three and a half hours north west of Sydney you’ll come across a little town called Kandos. Nestled beneath the escarpments of the Great Dividing Range with the spectacular Wollemi National park as its backdrop, this classic country town was created back in 1915 to provide housing for workers at the newly commissioned cement works. It was from here that the cement used in the pylons of the Harbour Bridge and the sails of the Sydney Opera House was sourced. The works closed in 2011 but up until that time you could still drive under the old carriage way that transported buckets of limestone from the quarry a few kilometers away. Now the chimneys that belched clouds of limey dust over the landscape are still and the workers have moved on down the road to the Charbon Colliery, which was originally set up to fuel the works and has now expanded to provide coal to overseas power stations. But a few innovative locals have decided to reinvent Kandos through that most nourishing ingredient: art. Arts writer and academic Ann Finegan and artists Alex Wisser and Georgina Pollard recently staged a minor miracle in the form of a contemporary arts festival which they ingeniously called ‘Cementa’. Throughout the preceding year they invited around 40 artists to take up residence in the town and encouraged them to respond to its unique industrial character. Then, for four days at the beginning of this month, those artists were invited back to instal their works in venues as diverse as the Presbytery, the old railway station and the museum. 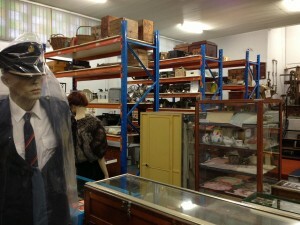 Formerly the town’s Methodist church, the Kandos Bicentennial Industrial Museum plays host a crazy collection of items mostly donated by locals who have run out of space to store them. Someone had a whole bunch of sewing machines which they offloaded here and another person had an array of toy guns which are causing the volunteers grief because the original owner now wants to hand them over to the Lithgow Small Arms Museum. 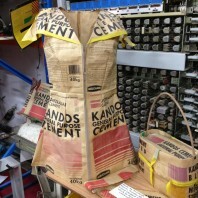 A creative high school student has offered up a fabulous outfit made by out of Kandos cement bags, and another local has given over their collection of vintage buttons featuring the likes of Roy Rogers and Annie Oakley. And presiding over all of this is a spooky family of mannequins, some in uniform, others in furs, each one covered in a protective plastic shroud. 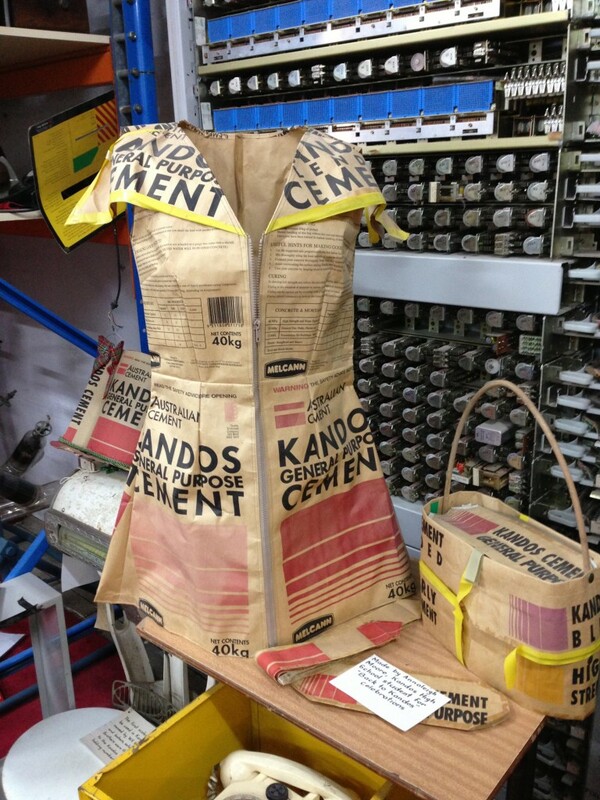 For Cementa_13, several artists created works inspired by this odd array of items. Bronia Iwanzcak trained her lens on the collection itself and framed it in glorious full colour photographs. Warren Armstrong took the stories of townspeople past and present and created a smart phone app which provided an audio tour of the district. Fiona Davies made a video recording of people’s hands overlaid with commentaries about their memories of being caned at school. Local artist Fiona McDonald used as her springboard the original flyer for the auction of town land blocks back in 1915 and painted the dots of the survey pegs using colours of the minerals found in the surrounding landscape including sandstone, coal, gypsum, lime and ironstone. All of these works threw new light on to the collection and revealed it in a fresh and invigorating manner. 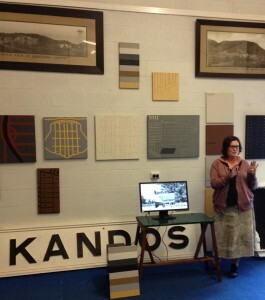 The Kandos Museum is currently in the midst of planning for the town’s centenary with many folk pushing for changes to its strange and wondrous displays. The prevailing view of the Cementa artists was; ‘keep it the way it is’. If old Peggy’s hand-written information cards were to be replaced by ones designed on a computer, the place would lose much of its unique spirit. 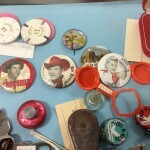 With loving care, however, this dusty old museum could retain its character and preserve its integrity. And with a new collection policy that included sourcing some of the contemporary art works from biennial Cementa, it could become a whole lot more relevant. 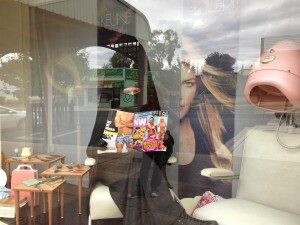 But there were many other wondrous site specific works that could only really exist outside the confines of the museum walls like ‘Muslim Hair Drying’ which saw artist Cigdem Aydemir installed in the shop window of ‘Cuts, Colours and Curls’ under a vintage hair dryer which like herself was completely covered in a black Muslim Niqab. Only her eyes were visible through the peep hole that allowed her to spend the hours reading such enlightening texts as Women’s Day and New Weekly. For me, the most remarkable work was ‘The Chapel of Rubber’ by Josehine Starrs and Leon Cmielewski. Enshrined in the old Presbytery, this installation paid homage to the Kandos Street Machine, a yearly event that sees hot rod fans gather at the town’s custom built track for a day of burnouts and smoking tyres. The young kids run out on to the track after each event and collect bits of frayed rubber and the Chapel was surrounded by 14 of these relics. An illuminated image of a particularly awesome burnout track with a delicate dry leaf that had fallen in its wake lead up the middle of the room to a wide screen which ran a mesmerising film of the burnouts themselves: swirling smoke, whirling tyres and flashes of polished chrome. But instead of burnt rubber, the chapel was filled with the smell of incense and the solemn sounds of religious incantations praising the Lord up on high. By celebrating Kandos in all its idiosyncratic ways, Cementa_13 brought new life and vigor to this remote country town and it may very well never be the same again. That might be of concern to some dyed-in-the-wool locals but the majority were thrilled with the experiment and the influx of creatives that it brought with it. It was a highly ambitious and complex project but it worked a treat, proving that cutting edge contemporary art can survive and thrive outside the city art scene and I for one can’t wait for Cementa_15!